This holiday season, the elders get to have extra special treats they deserve aside from 20% discounts and free passes to movies in Parañaque City. 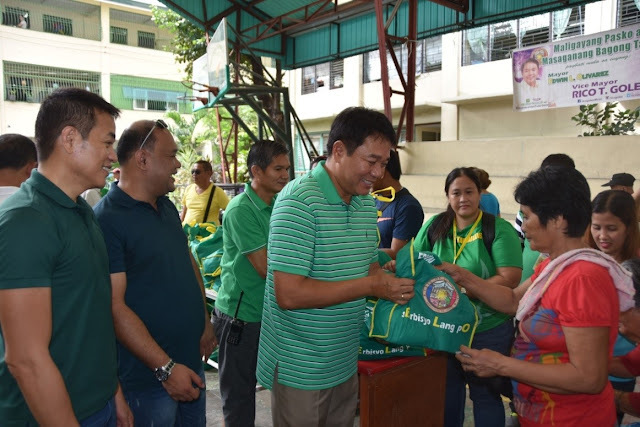 Just recently, Mayor Edwin L. Olivarez spent time to visit and share the Christmas smiles to lonely elders and started again, for 4 consecutive years distributing x-mas cash gifts and bags of grocery items as Pamaskong Handog to senior citizens. Mayor Olivarez, according to some of his peers at the city hall, remembers the olds and less fortunate senior citizens during Christmas as thousands of the elders cannot even manage to go out with their families due to illness and mobility problem and who prefer to be left alone at this time of the year. Pursuant to Ordinance 13-14, series of 2013, the city of government grants privileges to senior citizens as a token gratitude for their invaluable contribution to the society and for being mentors of good character building of young generation in the community. 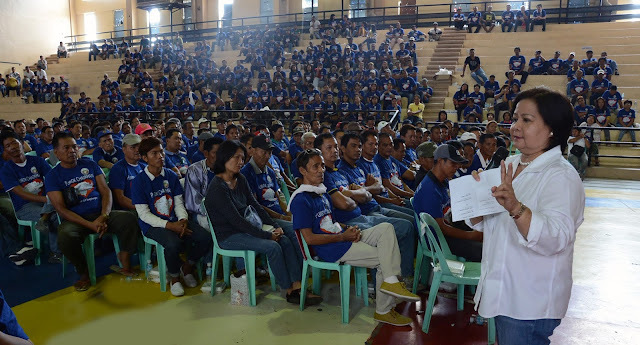 Only those senior citizen registered under OSCA Care program are entitled to Christmas cash gifts. Aside from year end P500.00 cash, the senior citizens are also entitled to receive P500.00 cash during their birthday. The surviving relative of an OSCA-Care holder can also avail of P2,000.00 cash as death benefit assistance according to said ordinance. Mayor Olivarez, knowing too well that he has a shared duty to augment the health benefits of senior citizens went further to provide them free medical checkup and laboratory test on their birthday. This, in additional to 20% on medicines now enjoyed by senior citizens under the law, including 20% discount on hospital charges and Philhealth card being issued by the city government thru the City Health Office. The city recognizes that senior citizens need customized executive checkup and that aside from cultivating preventive health care, the city also provides quality health and wellness services to all its constituents of all ages. 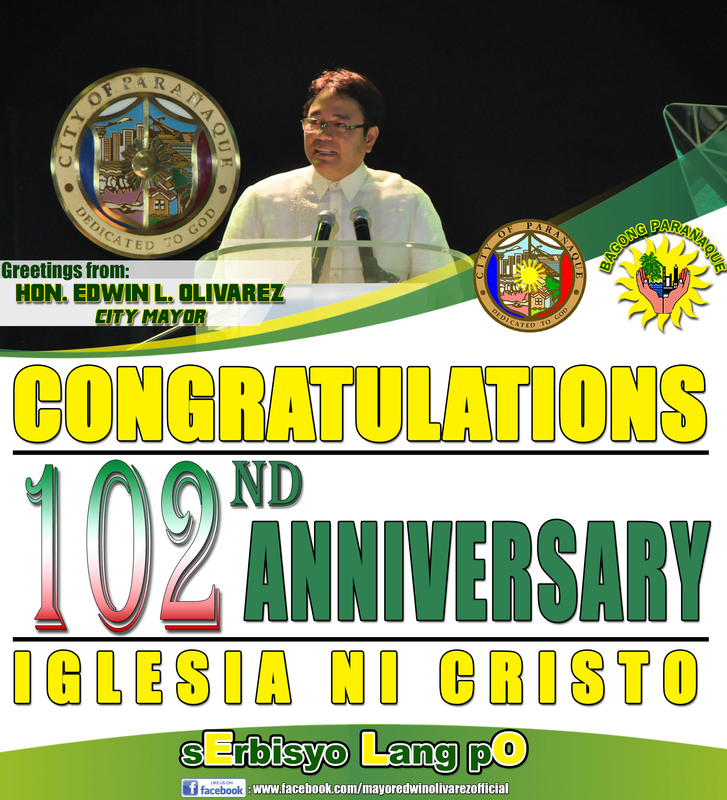 Mayor Olivarez also wanted elders to live their life well and live it to the fullest. The city also provides a onetime cash incentive of P100,000.00 should a senior citizen reach the age of 100 years alive. Contrary to the general public apprehensions, the government will not remove the senior citizens 20% discount on purchases as well as exemptions from the value added tax on food and medicines, said the Department of Finance (DOF) in a news article published recently. According to news reports, the national government proposed tax reform program, particularly the 20% discount enjoyed by senior citizen when they dine in big restaurant, will most likely be lifted since such privilege is usually availed by affluent senior citizens who can afford to eat at fancy and expensive restaurants. The national government clarified that said proposal only applies to restaurants such as those located in 5 star establishments. A senior citizen who can afford to eat P1,000.00 worth gets P120 VAT exemption. Other concerned senior citizens however, rejected such claim since not all senior citizens consume that much by his lonesome self at any given time. They claimed senior citizen would rather eat in Jollibee than expensive restaurants whose rates are undeniably exorbitant. This amount, referring to 12% VAT, the government said will instead be allocated to subsidized programs that benefit poor senior citizens. The 20% discount and VAT exemption will remain for the purchase of medicines and food in its raw form.